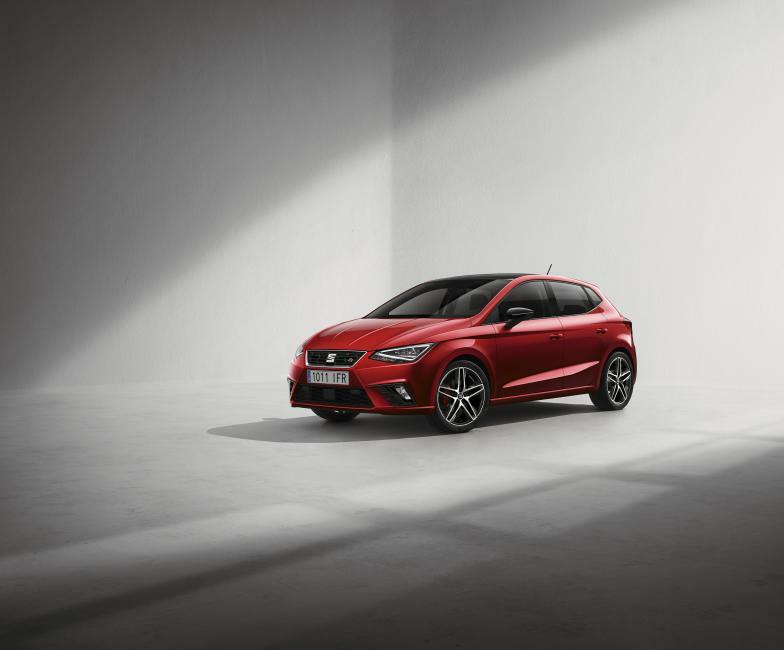 SEAT is launching the New Ibiza with a package of innovative technologies. 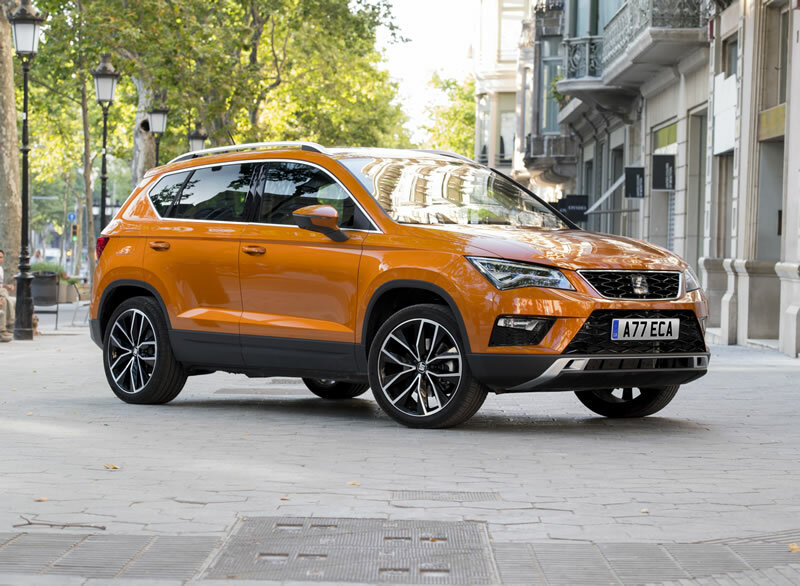 New engines, individual equipment options, additional safety systems and, above all, a completely new line-up of connectivity and infotainment once again make the Ibiza range one of the best and most multi-faceted offerings in its class. The new running gear brings comfort onto a whole new level, while the redesigned interior raises the quality look & feel even further. 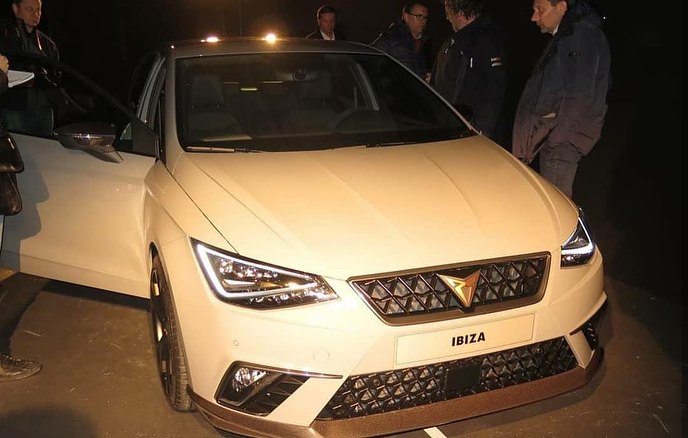 In one area, however, there was very little to improve – the Ibiza’s emotional and dynamic design is exceptionally well received by customers and is a central purchasing reason for the compact Spanish model. MirrorLink is the perfect technology for safely operating smartphones and many of their functions and apps via the Ibiza’s infotainment system. The corresponding elements of the smartphone operating interface are “mirrored” on the touchscreen in the newly designed Ibiza cockpit. It functions easily and smoothly with a growing number of MirrorLink-compatible Android smartphones. The new Ibiza is the first model in the SEAT line-up to feature exclusive connectivity solutions “powered by SAMSUNG”. The Spanish car maker has agreed a cooperation with SAMSUNG for the development of innovative connectivity solutions and, in a first step, will offer a SAMSUNG Galaxy A3 with the pre-installed SEAT ConnectApp over 35 countries. 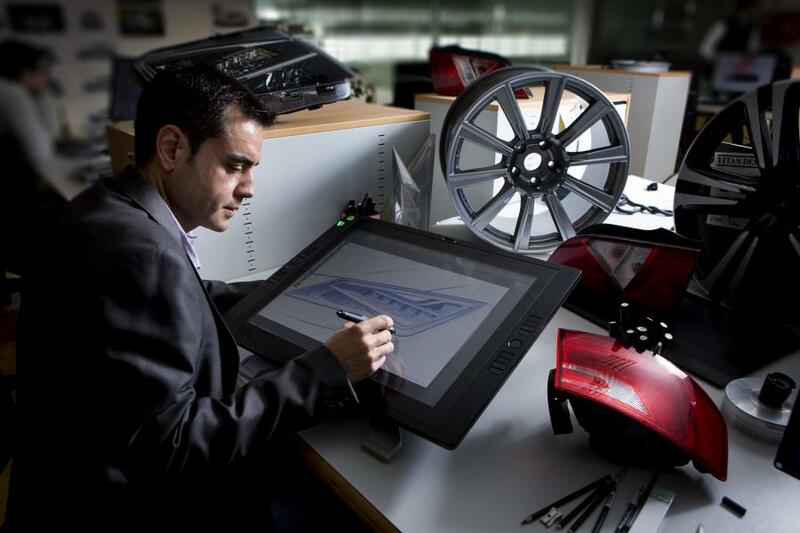 “This is a meaningful deal for SAMSUNG and SEAT’s collaboration for the latest in-car integration of technology and future concepts,” Said Rick Segal, Vice President of Enterprise Business Team, IT & Mobile Communication Division at SAMSUNG Electronics. The new SEAT ConnectApp makes perfect use of MirrorLink integration. The driver is always connected, yet retains full concentration on the road. One central function is the “Read to me” and “Voice Reply”. This text reading function converts incoming messages from the likes of e-mail, text messaging, Facebook or Twitter accounts into speech, reading them out loudly and clearly. Answers to new posts can be “dictated” by voice, with no more distractions caused by typing onto the screen. A new exclusive function is gesture control. Functions such as calls or contact addresses can be called up onto the touchscreen of the SEAT MediaSystem using brief finger gestures. The welcome screen in the SEAT ConnectApp delivers individualisable information such as the current weather forecast or appointments from a Facebook account. For the Smart Tips feature, the app learns individual preferences such as frequently used destinations and can provide appointment reminders. A host of further functions will also be immediately available when the SEAT ConnectApp comes to market. Regular updates will refresh and expand the range going forward. Data security is absolutely guaranteed. The backend of the ConnectApp saves no personal data at all, other than the e-mail address and the vehicle specification. They remain completely and exclusively on the owner’s smartphone. For more information about data security, visit https://www.werecoverdata.com/service-locations/new-york. However, SEAT’s new world of connectivity applies to more than just users of MirrorLink-compatible smartphones. The SEAT Full Link connectivity solution also incorporates the functions of Android and iOS operating system. This means that new Ibiza drivers are always connected whatever smartphone they use and able to retain their full concentration on the road. Ibiza drivers have secure access to the enabled functions via the touchscreen. In the case of the iOS operating system, for example, these are currently the phone and messaging functions as well as music and maps. More are scheduled to follow. The resulting interior design is a reflection of a product that has been inspired by and conceived in our surroundings, Barcelona, and displays a formal simplicity of striking character lines that sum up our brand image. The New Ibiza is as diverse and colourful as life itself. The new Colour Packs for the the entire Ibiza family offer a whole new level of individualisation. The compact car from Barcelona can be adapted to suit any personal style perfectly. The Colour Packs make a bold statement. Bismuth, an elegant shade of brown, is among them, as is Velvet, a rich purple. There is also a powerful red on offer, cool grey, as well as white, black and blue – the right Colour Pack for every personal preference. And with three body shapes, three equipment lines and a wide range of engines and equipment options, there is the perfect Ibiza to suite every need. The SEAT Ibiza is driven by a completely new generation of petrol and TDI engines. The entry-level petrol engine is a three-cylinder with 1.0-litre displacement, which produces 55 kW (75 PS) in naturally aspirated format and 70 kW (95 PS) or 81 kW (110 PS) as TSI turbocharged drives. With maximum torque of 160 or even 200 Nm, the 1.0 TSI has impressive pulling power. These new three-cylinders are state-of-the-art drives featuring variable camshaft adjustment from the entry-level model and cylinder heads with an integrated exhaust manifold for optimum thermal management and outstanding efficiency. The 1.0 TSI turbo version features an intake manifold with integrated intercooler and dual, variable camshaft adjustment as well as thermal management via three different cooling circuits. Thermal management, significantly reduces emissions in the warm-up phase. A further highlight is the four cylinder 1.4 TSI ACT with active cylinder management. Its improved output of 110 kW (150 PS) and torque of 250 Nm guarantee a high level of dynamic driving fun, while its cylinder deactivation under partial load limits fuel consumption to 4.8 litres in the standard cycle (all consumption figures relate to the Ibiza). Some technical highlights of the new three-cylinder TDI with a displacement of 1.4 litres are the aluminium cylinder block for weight reduction, a balancer-shaft module for smooth running characteristics, the water-cooled intercooler and the injection system with a maximum pressure of 2000 bar. The TSI with 81 kW and the TDI with 66 kW are optionally available with the comfortable DSG dual-clutch gearbox. The start/stop system, which switches off the engine when the vehicle is at a standstill, is available in all new-generation SEAT Ibizas. The New Ibiza has always received top marks for being dynamic and fun to drive. In its new generation, the Ibiza has been further refined with a particularly sensitive electric steering system. Benefitting even more, however, is ride and handling, with springs, dampers and anti-roll bars being completely re-tuned. The optional SEAT Drive Profile enables adaptive damping. There are two available parameters – comfort-oriented or sports-oriented. The Comfort/Sport selector switch also influences the intensity of the power steering. The base Reference model already makes a compelling argument, with all major items of comfort and safety equipment. Above that is the Style version, with air conditioning and colour touch screen among its standard appointments. The Ibiza FR makes a particular statement with its accentuated design at the front and rear and dedicated alloy wheels. More than ever before, the new Ibiza can also be perfectly adapted to personal style and individual preferences, with an extensive array of colours, options and accessories.